Nalanda Open University established in the year 1987. 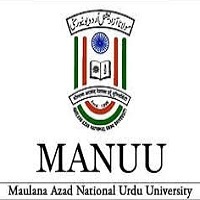 It is an Open University located in Patna, Bihar recognized by University Grants Commission (UGC). 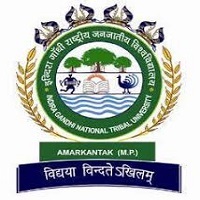 Through Nalanda Open University Admission 2019, the university offers various UG, PG, diploma and research level courses as given below. Admissions to all undergraduate, post-graduate and PG Diploma courses are merit-based. For Ph.D., candidates must pass the entrance test conducted by the University. 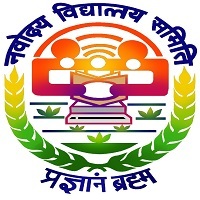 Nalanda Open University Admission 2019 process is offline and the admission form can be procured from the official website/ Institute/ Official Centers of the University. 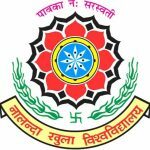 Candidates can get detailed information about Nalanda Open University Admission 2019 in the article below with also the exam pattern and counselling details. Nalanda Open University Application Process will be started from September for UG and PG Courses. Click Here to know how to apply? For Intermediate Courses, Application Process will be started from 1st week of April. Check Details below. The admission form can also be requested through post by making a payment of INR 400 through Demand Draft. Admission form can also be obtained from the University campuses by making a payment of INR 350 in cash. Take a print out and fill-up the application form. Applicant should send/ Submit the form in person to the official address. The form should be sent along with the Demand Draft of Rs. 350 drawn in name of “Nalanda Open University, Payable at Patna”. On the back side of the Demand Draft, mention the Name of applicant, Contact Number, admission form number and the name of the course he has applied for. The application form will be processed within stipulated time, once it is submitted. Students will be intimated to visit the college campus for the Entrance Test (for Ph.D.)/ Final Admission formalities. Students should be present along with the documents (Original) and Stipulated admission fees given below. B.Ed. : Bachelor’s Degree with at least 45% marks in aggregate and 2 years of teaching experience. B.Lib. : Bachelor’s Degree or equivalent. B.A. (Hons. ): 10+2 in any stream. B.Sc. : 10+2 in Science stream. B.Com. and BBA: 10+2 in any stream. BCA: 10+2 with Mathematics as a subject OR I.A with Certificate in Computing. M.Sc. : Bachelor’s Degree or equivalent in a relevant field. M.A. : Bachelor’s Degree or equivalent in any subject. M.A. : Bachelor’s Degree or equivalent in any subject. M.Com. : Bachelor’s Degree in Commerce stream. MJMC: Bachelor’s Degree or equivalent in any subject OR Post-Graduate Diploma in JMC. MCA: BCA/ B.Sc. (in Computer Science) OR Bachelor’s Degree in Mathematics as a subject. PhD: Master’s Degree or M.Phil. with at least 55% marks. For Intermediate: Admissions to Intermediate programs are based on the merit. 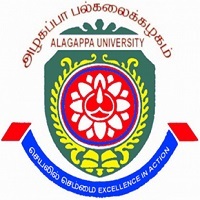 For UG Courses: Selection of the candidates to B.Lis., B.Ed., B.A. (Hons. ), B.Sc., B.Com., BBA and BCA courses are purely based on Merit. For PG Courses: Selection of the candidates to M.A., M.Sc., M.Com., MJMC, MCA, M.Lis. courses are purely based on Merit. PG Diploma: Admissions to PG Diploma programs are based on the merit. For PhD: Final selection of the candidates will be based on Entrance Test conducted by the University. Female candidates get 25% concession in admission fees. 10th and 10+2-mark sheet along with the passing certificate. 3 self-addressed envelop of size 10×4.5 inch each.